At this writing our first couple of Belden Wire Certification Classes should have taken place. Thanks to Belden, SASCO, and the ETI. After over 15 years of Kaiser performing as their own Low Voltage contractor, we have convinced them that one of our contractors is a smarter way to go. Woods Electric has expanded their capabilities and now services the Low Voltage needs of Kaiser in Los Angeles County. Congratulations Woods Electric. RAMS Stadium and LAX appear to be gaining momentum with a more of our Brothers and Sisters taking job calls there. Antelope Valley College will be starting a new project in the middle of April, and more qualified Brothers and Sisters are needed everywhere. 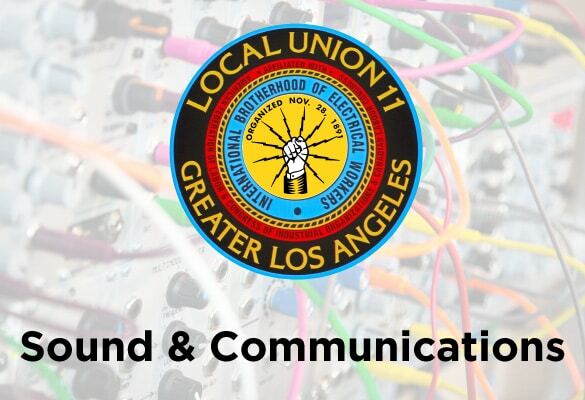 Contract negotiations are coming up at the end of the year, you can find the contract at http://ibew11.org/contracts/ take the time to look it over, talk with your Brothers and Sisters at lunch and come up with Suggestions for the upcoming negotiations. The Unit meeting for the S&C Unit will be happening Saturday, April 13th, at 9:00 AM with the Welfare Committee meeting starting at 8:00 AM and the Mentoring Meeting starting at 8:30 AM. All meetings are at the ETI in the Dispatch Conference Room. Come out and support our Unit, make sure that your voice is heard.